This two-part Q&A with Kathryn Otoshi was originally posted way back in 2013. I’m sure a lot has changed for Kathryn since then. But one thing I know for sure is her success continues to grow. I thought it might be fun to bring this oldie but goodie back for all you Kathryn fans. Following is the interview as it appeared in 2013. Before I get started, I want to give a giant THANKS to Kathryn Otoshi for taking many hours out of her busy schedule to answer my questions and for sharing so much of herself with us in this interview. Today, I am happy to post Part 2 of my interview with Kathryn and even happier to first offer the bonus of Kathryn’s thoughts regarding THE TOP FIVE THINGS THAT MAKE A SUCCESSFUL INDEPENDENT PUBLISHED BOOK. There are many definitions floating around for “Independent Publisher.” I tend to like the following: Jenkins Group, Inc., the organizers of the Independent Publisher Book Awards, define “independent” as 1) independently owned and operated; 2) operated by a foundation or university; or 3) long-time independents that became incorporated but operate autonomously and publish fewer than 50 titles a year. Keep an eye out for future posts on independent publishing. AKC: What are the top five things that you think make a successful independently published book? Write about a story or topic you feel strongly about — First and foremost there must be a real love and passion for the story you are writing about. I’ve always felt that the author must be absolutely fascinated with the story they are telling in order to be motivated to finish it. And also for the reader to be engaged with it as well! Another suggestion: do your research. Do your homework. If you want to connect with your readers, then start connecting with them before your book is published. Be willing to read a draft mock up to whoever your target audience is. I read to classrooms, teachers, booksellers, young kids, and parents to get their feedback on my children’s book. I found that experience invaluable. Then when your book is published, you will need to go out and do author visits. You must feel passionate about your story for you to be able to speak about it over and over, again and again and still keep it real. Strong production value — The saying ‘don’t judge a book by its cover’ doesn’t apply to children’s books! With thousands of books for a reader to choose from, having a strong production value with appropriate design does indeed matter. An elegant embossment or appropriately placed foil stamp on a jacket, for example, is never lost on your readers. They might not be able to vocalize about exactly why one book might feel ‘good’ over another, but they will instinctively know that the loving details are in there. Graphic design is key. Bringing on a professional graphic designer for your book to have a strong visual appeal is necessary. If you are independently publishing a book, how your book ‘reads’ across a room or how you package it becomes a deciding factor on if your book is picked up – or not. Have a business plan and budget — While it’s true, that most of us agree that writing and illustrating is a labor of love, publishing is a business. You must factor in all aspects when you publish a book. Be willing to take off your creative hat momentarily to look at how much it will cost to properly produce your book. And how much will it cost to properly support your book in the market so that it will have the best chance for success? Editing, designing, distributing, printing, marketing and advertising all have a price tag attached. Other questions that involve your overall budget are: how much should you list the book for? How many copies of the book should you print for the first run? Will you print 2,000 copies of this book? Or 10,000 copies? And if it’s a success, do you have enough buffer in your budget to be able to push the print button right away? Marketing strategy and distribution is key — Almost 1/3 of my overall budget is set aside for Marketing. Consider the review copies that need to be sent out. Budgets need to be set aside for contests and awards, for conferences, travel, promotional materials, fliers, postcards, bookmarks, ads, website updates and social media. The list goes on. Decide up front how much you want to set aside to promote your book so you know how much you’ll need to budget for. And although Distribution should probably be in its own category, I put it next to Marketing here for the purpose of consolidation. But in a nutshell, having the right distributor for your company to get you into the right channels can make all the difference in the world for the success of your book. I found John Kremer’s web site very helpful in obtaining an initial list of book distributors to start the researching process. Get involved — Go out there and get involved in your book community! Do readings, go to conferences, meet booksellers, join organizations, have coffee with other authors and illustrators. Listen to your peers speak at events. While writing is by its very nature, introverted, the other part of getting your book out there is you getting yourself out there. So move away from your desk, out of your room, through the door and into the world. In today’s book market, part of sharing your story is also about sharing a part of you. AKC: How many awards have your collective works received? KO: Collectively over 20, I’d say. Teacher’s Choice Award, the E.B. White Read Aloud Honor, and the Flicker Tale Award. AKC: Which came first, the desire to illustrate picture books or the desire to write? KO: My desire to simply tell a story rises above my desire to illustrate or write a children’s picture book. If I absolutely had to make a decision between the two though, I’d probably choose writing…but whew – it would be a very close call. AKC: Out of all the books you have illustrated, do you have a favorite? How about those you have written? KO: I suppose I had fun illustrating ONE the most. In general, I’m a representational illustrator. So for my book ONE, where all the blobs of color are symbolic, this was very unique style for me, but also the most freeing. Originally, One started as a story about differences – physical differences. I thought, “What if I created a story about children with totally different colored faces?” Instead of using white, black, brown skin tones, etc – I could use completely different colors like green, purple, blue and orange! Gradually in my quest to make One as simple as a story possible and boiling it down to its core essence – I ended up making the children’s faces into splotches of colors instead. It was a risk because of the abstraction, but I think that by doing so, I got more leeway to touch upon complex themes and subject matters. AKC: Where did you get the idea or inspiration for your books? KO: Mostly from life. “What Emily Saw” is about a day of discovery through the eyes of a little girl. But it’s also based on my own childhood memories. There’s a page spread in there where there’s a hill that transforms into the back of a dinosaur. That’s what I used to imagine when I was growing up! That the hills were the backs of sleeping dinos! AKC: What advice would you give to writers? KO: I would say…keep it authentic. And being passionate about your story. It needs to be meaningful to you if it’s going to mean something to someone else. Everything is key to making a children’s book work because everything is so honed down: the text, the illustrations all the way to the graphic design and production of the book. Even the size of the book and the style of the font have a big influence on the overall look and feel of the book. A children’s book is so limited in text, you have to ask yourself – What is each page saying? Is it leading toward my theme? The core ingredients to making a children’s book really solid is to ask yourself a lot of questions about what is working and what is not. Is it really saying what I want it to say in the least amount of words possible? Then before the book is released, it is crucial to read the story to children, parents, teachers, booksellers, librarians – the book lovers in general. They are your audience. Stories are meant to be shared, after all. AKC: What advice would you give to illustrators? Before starting the illustration, ask yourself the question: What am I trying to say here? And then ask yourself, What else can I tell the reader that wasn’t in the text? The illustrations are just as important as the text in a children’s picture book. And the pictures should say what the text does not. If your story starts out as “Morris was a lonely mole” …the illustrator has this wonderful opportunity to show us how lonely Morris really is! Is he so lonely, there are cobwebs on his doorknob? Are there briar branches blocking his pathway? A welcome mat that is new and shiny, and never been used? Pictures are a glorious way to engage young readers. Children see and understand images before they ever learn to read. If we get children interested in reading children’s books at an early age, they will become readers for a lifetime. How wonderful! I’m thrilled to be a part of that process. So for me, it’s making the page come alive. I’m still learning how to do this, by the way. It takes all my experience about composition, leading the eye to where you want it to go, using gesture, POV, lighting, values…and finally the x-factor — your own style, which will summon the page and bring your characters to life. Through a story, if you are able to create something that influences a young reader in some positive way, however minor – to me, that is true success. AKC: Do you have any projects in the works that you are able to tell us about? KO: I am currently working on a chapter book called “Peter Dobb and the Wondrous Pod” and then two more picture books. I’m coming up with ideas for a graphic novel to pitch in a year. Just recently, I’ve started working on a short screenplay which deals with love, loss and memory. 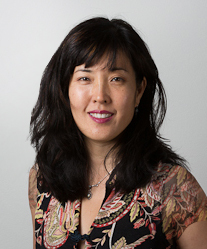 Please read INTERVIEW WITH KATHRYN OTOSHI, PICTURE BOOK AUTHOR/ILLUSTRATOR AND SUCCESSFUL INDEPENDENT PUBLISHER – PART ONE for Kathryn’s bio with photo, a list of her published books with links, and a link to KO Kids Books. This concludes my interview with Kathryn Otoshi. I hope you have found it as informative as I have. With one final thank you to Kathryn, we are done. 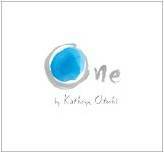 I first became aware of Kathryn Otoshi’s talents when her book, “One,” was awarded the gold medal in the Independent Publisher Book Awards. My book, “Butterfly Kisses for Grandma and Grandpa,” won the silver, and I became curious about my competition, so I purchased a copy of “One.” It did not take me long to understand why “One” took the gold. I sure am proud to be in such excellent company. 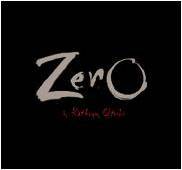 Kathryn’s second picture book “Zero,” has been just as successful as “One.” During this interview, I was excited to learn that “Two,” the third book in the number series, will be released next year. Obviously, I have kept my eye on Ms. Otoshi’s amazing success as an independent publisher. The more I observed, the more my curiosity about this award-winning author/illustrator grew until one day, I thought, Why not introduce yourself, and see if she would be willing to answer some questions. And that is exactly what I did. Kathryn was extremely responsive, very sweet and gracious. It has been my pleasure to get to know her. And now, it is my honor to introduce this lovely woman to you. 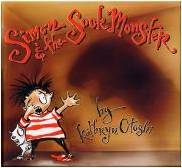 Kathryn Otoshi is a children’s book author and illustrator living in the San Francisco Bay Area. Prior to this, Otoshi worked in the film industry at Disney’s ImageMovers Digital (Christmas Carol) as well as George Lucas’s Industrial Light & Magic (Star Wars) as the Graphic Design and Multimedia Art Director. 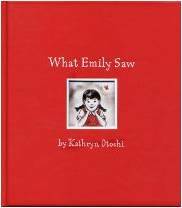 Otoshi’s first book as author and illustrator was “What Emily Saw”, a Borders Original New Voice Nominee. This was followed by “Simon & the Sock Monster”, short listed as a USA Book News Honoree, and “The Saddest Little Robot” (2004), a BookSense Pick. She teamed up with author Liz Hockinson and created the illustrations for “Marcello the Movie Mouse”(2005). Marcello garnered the Writer’s Digest Award for Best Children’s Book, the DIY Best Children’s Book, the Hollywood Book Festival Award, and the Eric Hoffer Notable Award. Her book “One”, winner of 16 awards, including the E.B. White Read Aloud Honor Book and the Teacher’s Choice Award, is an anti-bullying book introducing colors, numbers, and counting while playing on larger themes of acceptance, tolerance, and the power of one voice. Her newest book, “Zero”, is about finding value in ourselves and in others. Otoshi has been a guest speaker at over 100 venues, including the San Francisco Writers Conference and a keynote speaker at the International Reading Association (Canada). My curiosity got the best of me, and I swamped Kathryn with 25 detailed and probing questions. Like most writers and illustrators, Kathryn is busier than busy. Yet, she was kind enough to choose the questions that appealed to her the most. This resulted in 15 questions and answers that allow us to step into Kathryn Otoshi’s creative world for a while. The interview will be posted in two sections. Part 1 covers Independent Publishing. Part 2 is about Kathryn’s experience and her advice related to writing and illustrating. I will share Part 1 today and Part 2 next week. AKC: Are you the sole proprietor of KO Kids Books? If so, what is it like to wear so many hats? KO: Hi Alayne. KO Kids Books is currently a DBA under the corporation, Baytree Entertainment, Inc. But yes, I do wear many hats! It’s a bit of a balancing act, but what I find most interesting about having all these different job positions (Creative Director/Graphic Designer/Illustrator/Editor/Writer/Sales Marketer/Publisher) – is that you have a much clearer understanding of how each position impacts the other. For example, you can easily see how deciding to make an oversized book might accommodate the Illustrator’s desire to have more expansive pictures. But the Publisher and Marketer part of you would inherently know this might not be a great idea, due to the high cost to produce a book like this and the fact that your book might not fit on a standard shelf. AKC: I believe next year will be the tenth anniversary of KO Kids Books’ first two releases, “What Emily Saw” and “Simon and the Sock Monster” (both copyright 2004). I know that publishing independently is hard work and costly. How do you manage to continue publishing independently given the cost and work involved? KO: Well, when I first started KO Kids Books, I had my own graphic design freelance company. I was fine keeping my ‘day job’ and having KO Kids Books be what I lovingly called ‘my expensive hobby’. Later I started working freelance at Disney’s ImageMovers Digital. When the company closed at the end of 2010, my fourth KO Kids book, “ONE,” had already taken off. My expensive hobby had suddenly and surprisingly turned into something more. So I phased out doing a lot of graphic design work. I’ve been focusing on KO Kids Books and the children’s book industry ever since. AKC: Do you have any advice for those who might be considering independent publishing? KO: Sure do. Talk to a few indie publishers you admire. Ask them the pros and cons of being a publisher and really be willing to listen to the cons – not just the pros. Writing and illustrating is a creative process. Having a publishing company is a business. So realize that up front, and accept that you will have to be fiscally responsible for it. I would also join a local indie publishers association or organization to get to know more presses. Lastly, I would read Dan Poynter’s “Self Publishing Manual”. I wish I had read that book when I was first starting out! AKC: What is the best part of independent publishing? KO: Having the creative control and final say over the writing, illustrating and design of my books. AKC: What is the most difficult part of independent publishing? KO: For me, it’s the business side. That’s why I have someone dear to me, Daniel Jeannette, who has given me sage fiscal advice on the business side of the organization. What was it like illustrating for other publishers versus KO Kids Books? KO: I enjoyed working with other publishers and seeing how they worked. It was great getting a different perspective and working with a team as I generally fly solo. They have final say, of course. Once I said I was done…I really had to be DONE. If there was indeed a valid last minute change I had to make in the illustration, it would have to be a very compelling reason why I needed to do this. It affects a lot of people when changes are made in the 11th hour – the writer, the editor, the designer, the printer are all impacted by this. And of course, the publisher, would ultimately need to approve it. Versus if I did work under my own company, if there was a moment of inspiration that came to me, or a more clever way to show the illustrations, I could make that tweak or change on the spot – even if the book was right about to go to press. AKC: In your experience, what is the average process time to get a book into publication (from writing/illustrating to release)? Was there a difference in process time between KO Kids Books and the other publisher’s books? KO: I’d say from the time the contract is signed, it takes about 2 to 3 years to get a children’s book published – and that might be considered fast by some publishers! When I published my first two books under KO Kids, it was done in less than a year. But I realized what a disservice I was doing by not spending more time working on the marketing and promo aspects of things before the books were released. Now, I’d say it takes a good solid 2 years for KO Kids Books to release a new book, which include all marketing/promo, a plan for a tour, and shows and conferences I plan to attend. 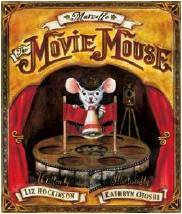 AKC: In 2006, KO Kids Books released “Marcello the Movie Mouse” by Liz Hockinson. This appears to be the only book, so far, that was written by an author besides you. Why did KO Kids Books decide to take on this project? What was the experience like for you? KO: At the time, I had been thinking about considering submissions from other authors. I met writer Liz Hockinson in a children’s picture book class at my local indie bookstore, Book Passage. I really liked her writing style, and admired her dedication to the craft. We ended up in a writing critique group together and became good friends. One day she told me she wanted to write a story about a moxie little mouse named Marcello who had a big dream: he wanted to make a movie! I loved the idea and told her I wanted to hear more. After many writing drafts from Liz, and hours of illustration from me, “Marcello the Movie Mouse” was released a year and a half later. We had a great time marketing the book together. Currently though that’s the only book I plan to publish from another author. I’ve decided our focus for KO Kids will be on the Number Series: ZERO, ONE…and now TWO, which will be released next year. Jenkins Group, Inc., the organizers of the Independent Publisher Book Awards, define “independent” as 1) independently owned and operated; 2) operated by a foundation or university; or 3) long-time independents that became incorporated but operate autonomously and publish fewer than 50 titles a year. Sometime in the future, I plan to share my experiences with independent publishing and offer more thoughts on independent publishing companies versus self-publishing. I’ll keep you updated regarding when this might happen. Be sure to come back next week when Kathryn shares more about herself and gives a little advice to both writers and illustrators. search to find value in herself and in others. the concepts of acceptance, tolerance, and what it means to count! inspirational story which includes a glossary of movie terms to wrap it all up. Monster ate it for dinner. Simon enlists the help of his friend to rescue it, but what they discover in the end will have everyone laughing. hide-and-seek with, but in the end, she finds the true magic comes from home. him out of danger with her raised paw. 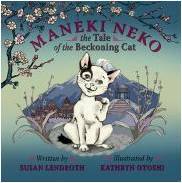 Discover the legend behind Japan’s most famous cat! THE EXPERIMENT IS OVER. For an explanation, see my next blog post here. Last week I offered a new webinar with a mini course in plot and arc as well as a very informative discussion on ten reasons for manuscript rejection, which also teaches about writing kid lit. I know that I’m offering valuable information, and I thought that I was offering it at a reasonable price. However, I got very little response. Also last week, I was following a thread about someone wanting to start a new course, and a couple people asked, “Can you make it affordable?” I tried to engage those people in a discussion on what affordable means to them, with no luck. But it got me thinking . . . affordable probably means something different to everyone. I thought about doing a poll. Then I decided to try an experiment. What if I offered the webinar for anyone to watch with a request that they contribute what they would consider affordable? I know this means it will be free to some, $5.00 to others, and maybe $25.00 or more to others. My goal has always been to offer services, courses, and webinars that may be affordable to those who cannot afford the more pricey services, courses, and webinars. I would love to offer everything I do for free, but my time and knowledge are valuable to me, and I want to respect that to some degree. So, for now, with these Writing for Children Webinars, I want to try an experiment and offer this first webinar on a donation basis. So, you will find the link to the video below. You can get a bigger screen in YouTube by putting it in theater mode. Once you watch the webinar, if you have found value in it, please donate whatever works for you at https://paypal.me/BlueWhalePress. Also, please note with your payment that it is for the EXPERIMENT. THE VIDEO LINK HAS BEEN REMOVED. If you would still like to watch the webinar, see my next blog post here. If you found this webinar valuable, please DONATE HERE and note that it is for the EXPERIMENT. Contests, Games, Inspiration, Support, Learning and Fun! I’ve been busy working on the next Sienna, the Cowgirl Fairy book and rewriting my picture book writing course, Art of Arc. That’s only part of what I’ve been up to. But what’s important here is that I haven’t written a blog post in a while, so it’s high time I wrote one. Today, I thought I would take a little time to share a few other things that I’ve been up to because I want to share some news, opportunities, and resources. Teachers, librarians, parents – this one is for you. I was just invited to be a judge for a fun writing contest for children in grades 3-5. Rosie Pova is offering the contest on her blog. This is a nationwide competition for creative writing with a theme, a twist and, of course, PRIZES! Teachers and librarians have 30 days from the contest opening date to submit the best entries that they select. The contest began January 18 and will end at 11:59 pm February 16, 2018. Writers, this one is for you. I’ve signed up for my sixth year as a 12 X 12 member and my third year as a 12 X 12 critique ninja. As a member of Julie Hedlund’s 12 x 12, you get the motivation and accountability you need to write picture book drafts in 2018. There are opportunities to learn from industry experts, receive advice on the craft of writing picture books from published authors, literary agents, and editors, and enjoy the fellowship of community. Registration is open until February 28. Just so you know, a critique ninja is a person who works in the 12 X 12 forum offering critiques on posted picture book manuscripts. There is a whole team of critique ninjas – all professional critique writers. I’ve joined Tara Lazar’s Storystorm challenge for, I think, my sixth year. The Storystorm challenge is to create 30 story ideas in 30 days. You don’t have to write a manuscript (but you can if the mood strikes). You don’t need potential best-seller ideas. The registration is over and the challenge is more than half over, but you can still get some great inspiration for finding ideas from the month-long Storystorm posts on Tara’s blog. Once upon a time, Storystorm was called PiBoIdMo or Picture Book Idea Month. I have bounced around the idea of trying my hand at art with this KIDLIT411 illustration contest, but I haven’t gained the courage. But YOU might want to give it a try. Excellent opportunity! The deadline is February 9. I’ve been practicing art using a bunch of different books, but I also recently signed up with the Society of Visual Storytelling (SVS). Here’s a little blurb from their site. Our videos are custom made to show you how to get the skills necessary to break into the dynamic field of illustration. We have a wide range of subjects that fit any interest you may have in art. On top of our huge video library of art videos, we are now offering multi-week interactive classes where you get direct feedback from the instructor. In addition to our video content, we offer a forum where you can chat with other students and ask for help or just show off your stuff! Now, if only I could get reliable Internet access on the road so I can watch my courses! And one last bit of fun for writers. If you don’t know about it, Sub Six is a Facebook support group for kid lit writers who are focusing on submitting their work. I’ve had a hard time keeping up with it, and the wonderfully smart and talented Manju Gulati Howard has volunteered to help. And boy has she helped. She does so much to inspire and encourage the group. She’s secured monthly prizes for the whole year from generous donors. And now, she has started Rejection Bingo, which is a blast. The game is in play until June 1. The winner of Melissa Stoller’s giveaway is Jane Heitman Healy! Congratulations, Jane, you have won a signed copy of The Enchanted Snow Globe: Return to Coney Island. I’m excited to share that next week, the one and only Tara Lazar will share some of her expertise regarding how to leave room for the picture book illustrator. Do you have a chapter book idea, but don’t know where to start? Do you have a chapter book idea, but feel something is missing in your first draft? Do you have a chapter book that you’ve been unable to finish? If you answered “yes” to any of the above, you might want to check out my guest post on the GROG blog I Have a Chapter Book Idea – Now What? The post is full of chapter book writing resources and my own checklist for developing or editing your chapter book.